Boy, do I love orchestra performances. A pleasure to the ears, a calming sensation to one’s mind, and seeing musicians played the songs in harmony was also a spectacular view of its own. Managing the orchestra as a conductor is hardly an easy task, despite how natural they made it looked like; flailing flawlessly with the Baton (conductor’s stick) at precisely the right times. Each and every move the conductor made translated into a series of musical impacts, whether it’d be in tempo or tone dynamics, a unification to the orchestra. Therefore, instantaneous thinking and reactions are the key to conducting performances that’ll be remembered. Car enthusiasts also perform orchestras of their own; which just happens not to be done in an opera house, but rather on automobiles instead. Much like how a melody from an instrument explains a song’s mood, the parts installed on one’s car define the tone of the entire car; a single poor decision would’ve impacted the final execution quite badly. 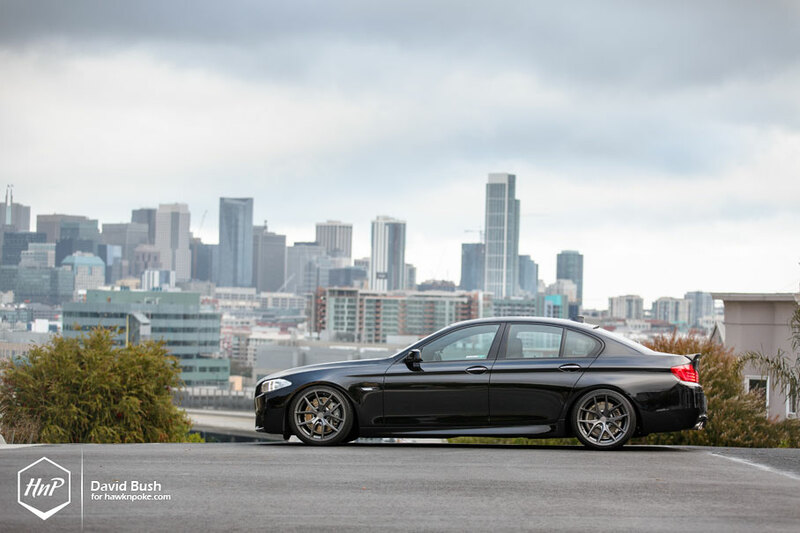 That’s why today’s 535i owner, fellow Indonesian named Romario, prefer to dwell deeper into automotive discussion boards before installing the next list of parts he wanted. Having always loved BMW’s for as long as he could’ve remembered, Rio used to drive around in an E46 while he was still living in Jakarta. 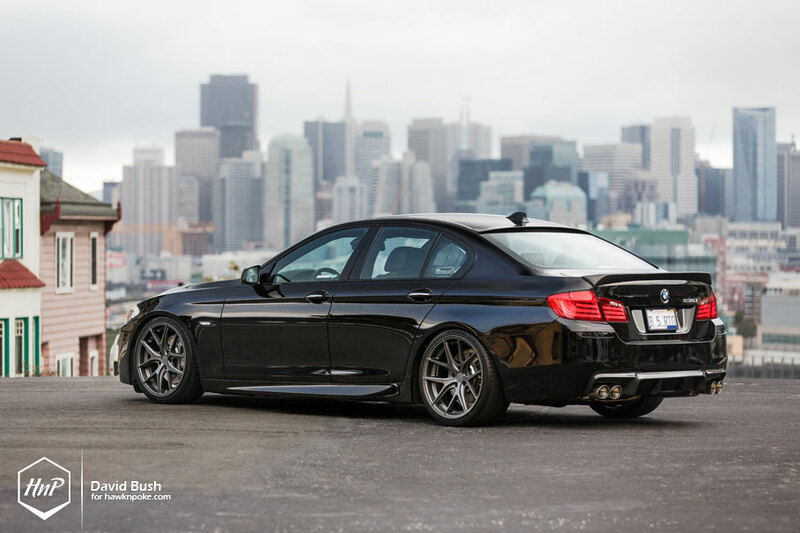 Once he arrived to the States, therefore, he immediately wanted an F32 coupe platform as the upgrade to his 3-Series. 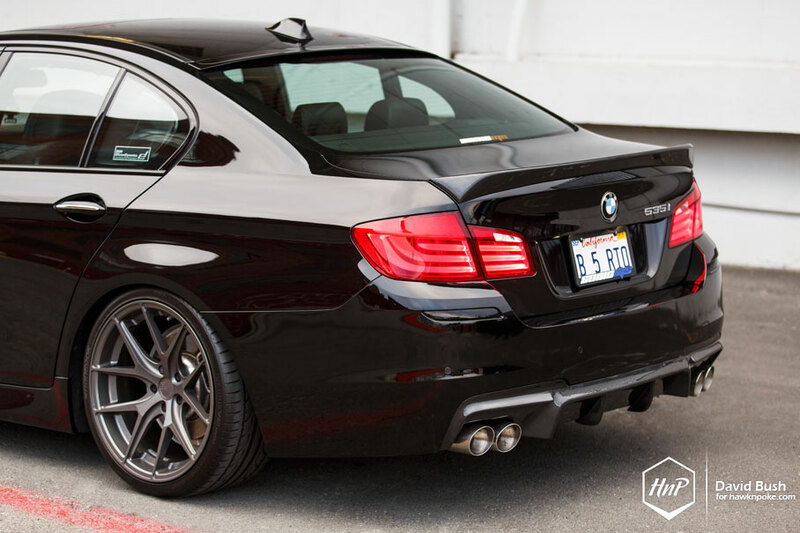 However, lured by the F10’s practical cabin and comfort, he decided to jump onto 535i instead. A love for everything lowered. 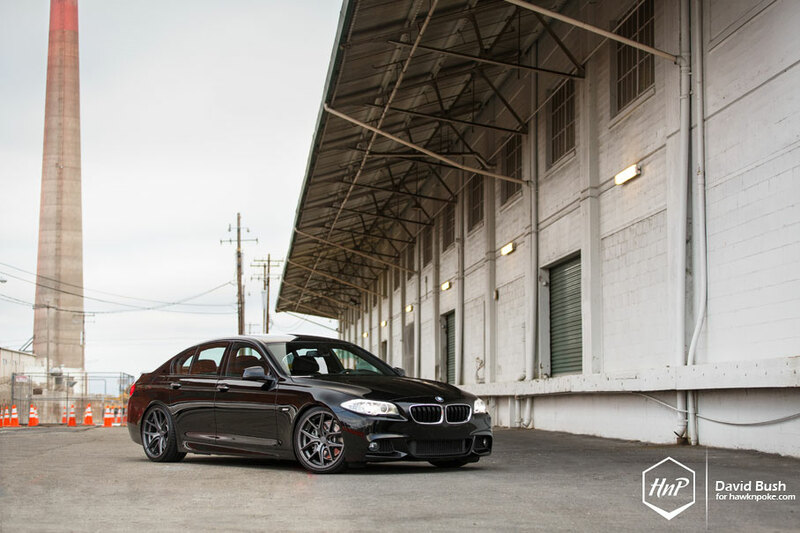 Along with his old E46, Rio used to slam the heck out of his Jazz GE8 while he was still living in Indonesia. 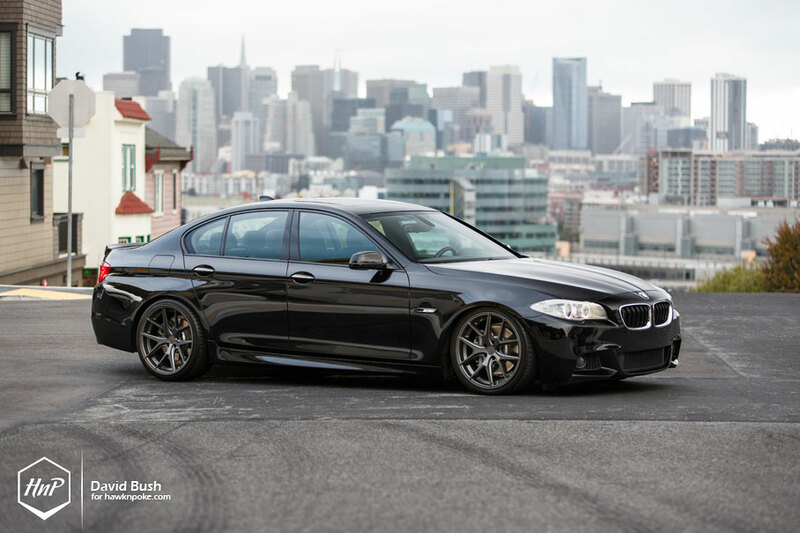 Unarguably still having that passion for ‘stance’, he decided to be less aggressive this time and perform a more practical setup with his 535i. Because this would be his only method of transport this time, and he’d need it to be practical to drive everywhere. 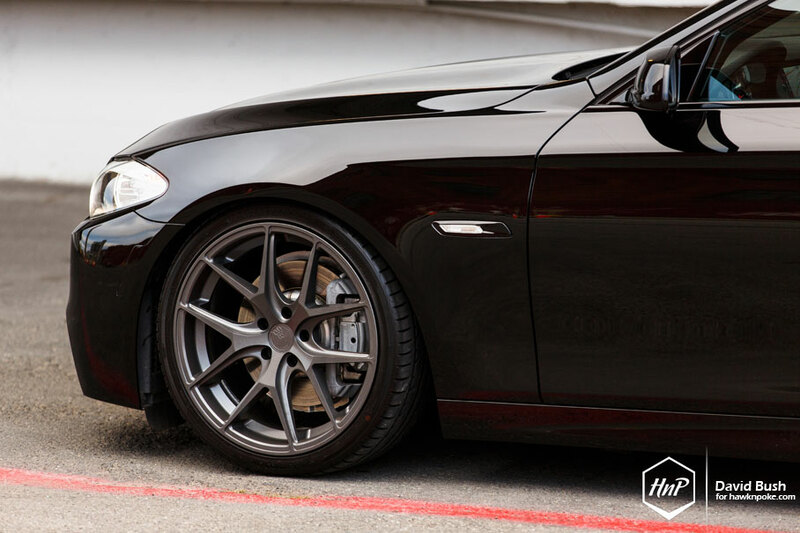 A set of dolphin grey AG wheels and Megan Racing coilovers, therefore, found its way onto the F10’s footworks coupled with a modest drop. 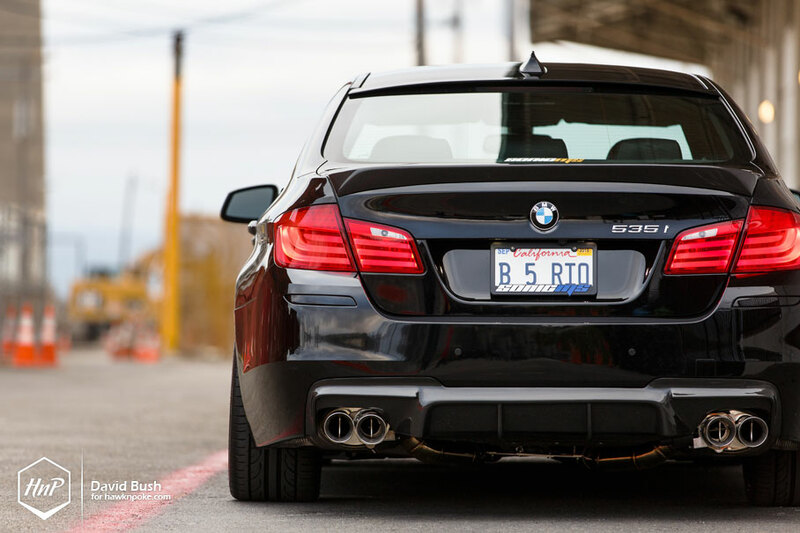 Rio’s particularly impressed by how the rear-end of his 535i turned out. 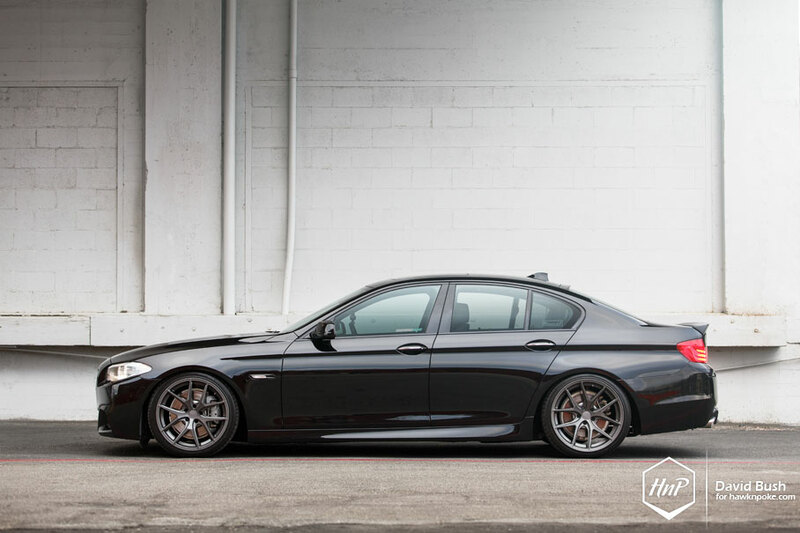 Vorsteiner diffuser, Vorsteiner spoiler, and Meisterschaft catback created a flawlessly sportier and modern look he’s always been after. What’s next? 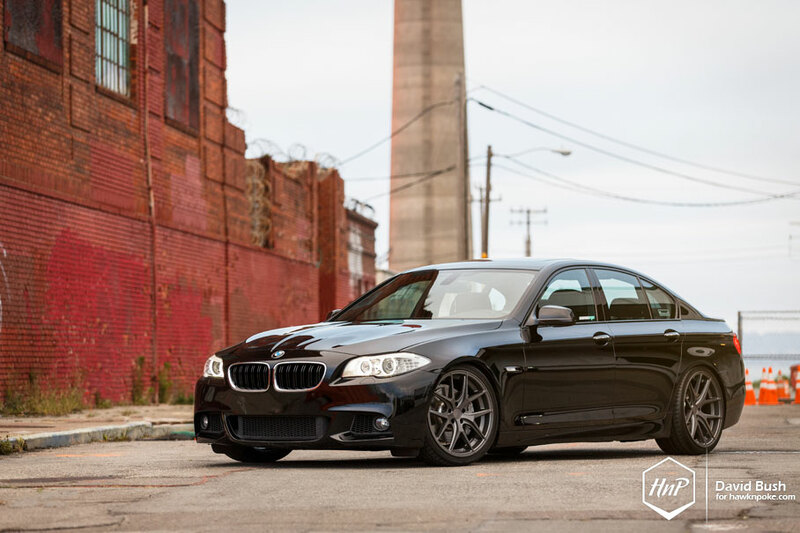 Rio’s next plan for mods is in getting a set of HRE wheels and upgraded downpipes for the 535i’s powerful turbo engine. 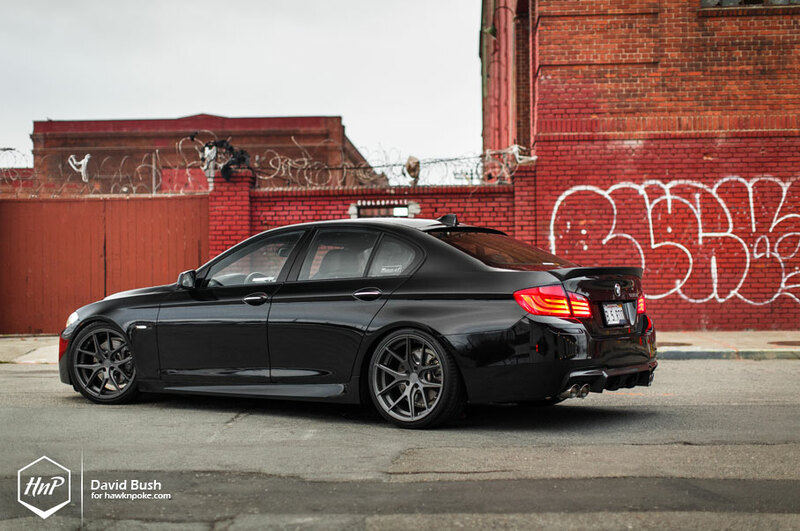 I’d say these would be the perfect upgrade to make his city cruiser even livelier for the streets.